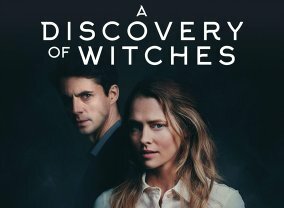 A Discovery of Witches is a TV adaptation of the All Souls Trilogy by Deborah Harkness. 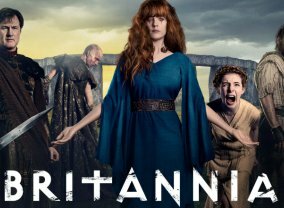 It follows the story of Diana Bishop, an alchemical history professor at The University of Oxford who, after accidentally calling an elusive, long-thought-lost manuscript, is compelled to embrace the magic in her blood she has sought to keep out of her life and engage in a forbidden romance with charming vampire Matthew Clairmont. On a podcast, Karl Pilkington admitted that he doesn't see the fuss about the Seven Wonders of the World, despite never going to see even one of them. 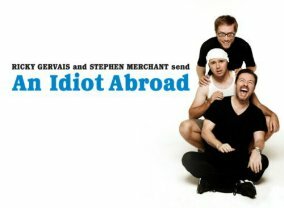 Ricky Gervais and Stephen Merchant respond by sending him around the world to experience the Wonders for himself. A bold, adrenaline-fueled series about the last days of mankind. 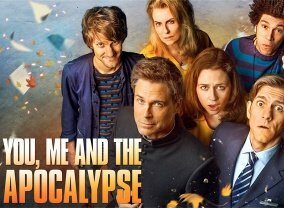 Set against a backdrop of apocalyptic chaos, the story follows an extended family whose lives start to intersect in the most unexpected ways. Their renewed connections are triggered by the news that a comet is on an unavoidable collision course toward Earth. 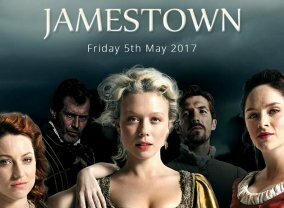 Set in 1619, "Jamestown" follows the first English settlers as they establish a community in the New World. Among those landing onshore are a group of women destined to be married to the men of Jamestown, including three spirited women from England. 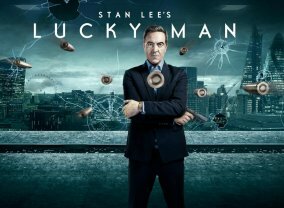 Dive deep undercover and venture out onto the streets of London with Noel Clarke (The Level, Star Trek: Into Darkness) and Ashley Walters (Top Boy, Hustle) in a cinematic crime series that mixes drama, action and comedy to deliver a distinctive and dynamic new take on the police buddy genre. Adrenalin-fuelled and packed with compelling characters, Bulletproof follows two undercover cops, Bishop (Clarke) and Pike (Walters) as they chase down hardened criminals in London's East End. But the series is more than high-octane action and thrilling cases. On the surface Bishop and Pike have a lot in common, they are cool, smart and unapologetically street-wise and tough. But even more, they share a deep, fraternal relationship and are always there for each other. However, they come from very different backgrounds and their personal motivations and emotional lives outside the police force differ as a result. Pike is an aspirational family man, the son of a decorated police officer who is determined to follow in his father's footsteps, but not be in his shadow. Meanwhile, Bishop grew up in care homes and on the streets, and never knew his father. Despite these differences Bishop and Pike are bonded by the same moral code and work brilliantly well together even when the chemistry between them looks set to explode. 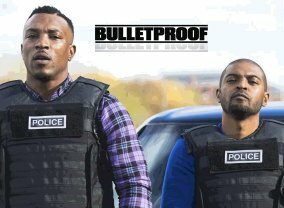 Full of grit and sometimes gloss, Bulletproof is stylish and funny with entertaining, riveting criminal cases in each episode. At its heart though it is a series about the fascinating relationships between fathers and sons, as well as between best friends. 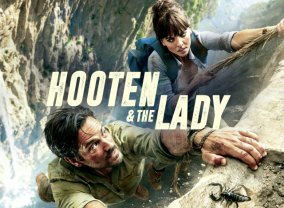 Starring: Noel Clarke, Ashley Walters. When they were twelve years old, Mark, Pru, Danny and Slade were out together in the park. Mark's five-year-old brother, Jesse, was annoying them. They were mean - told him to get lost. Jesse ran away. He was gone. Never seen again. 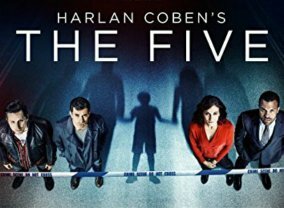 Twenty years later, Danny - now a detective - learns some shocking news. Jesse's DNA has been found at a murder scene. He is alive and out there. Somewhere. 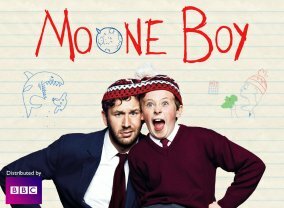 The new show will explore the life and adventures of Martin Moone and invisible buddy Sean, using Martin's chaotic, scatter-brained family life as a backdrop.